BLOWOUT SALE! Vegetative Growth. 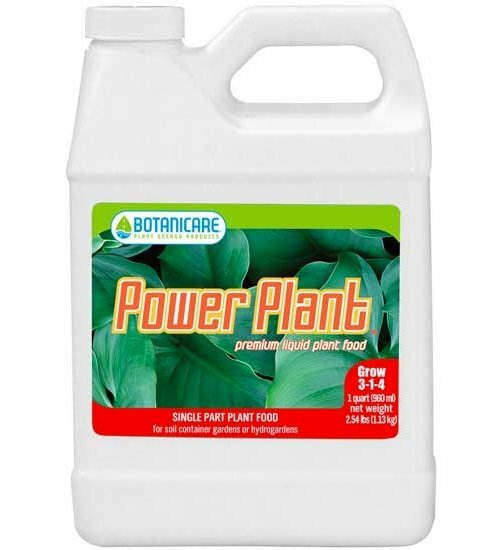 Botanicare Power Plant (3-1-4) is a premium liquid fertilizer containing thirteen elements that are known to produce vigorous vegetative growth. 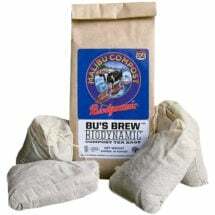 Use in both soil and soilless gardens. Seedlings, Transplants and Cuttings – Use 1/4 oz. per gallon of water. Mid-Size Houseplants, Herbs and Flowers – Use 1/2 oz. per gallon of water. 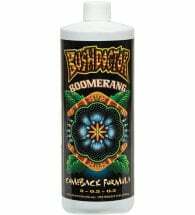 Mature Plants – Use 1 oz. per gallon of water. Seedlings and Rooted Cuttings – Use 1/4 oz. per gallon of water. 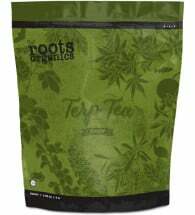 Mid-Size Plants – Use 1/2 oz. per gallon of water. 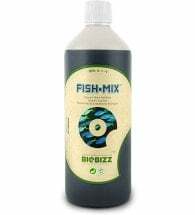 Ingredients: Ammonium nitrate, ammonium molybdate, potassium nitrate, calcium nitrate, potassium phosphate, magnesium sulfate.